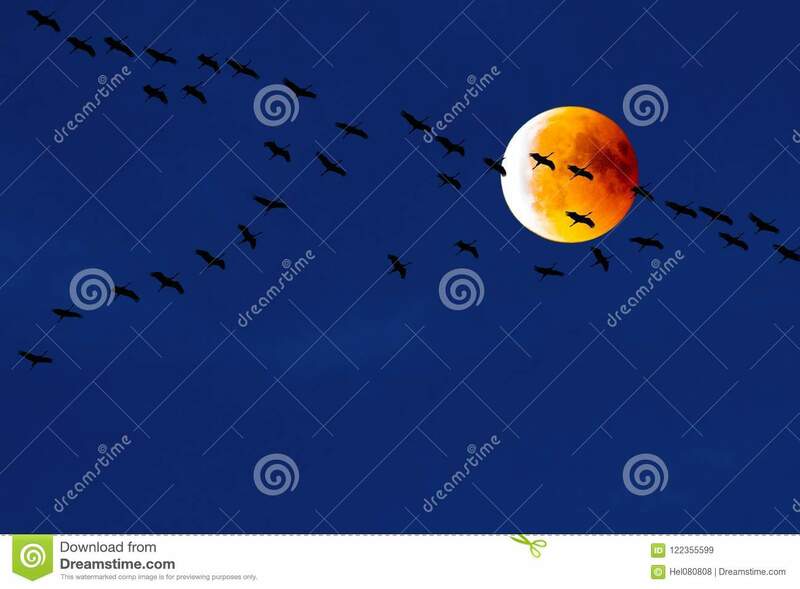 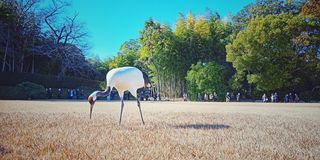 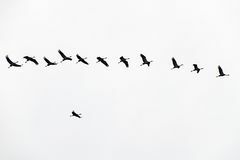 Cranes flying in front of blood moon, partial lunar eclipse, migration birds, teamwork of flying cranes. 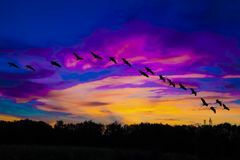 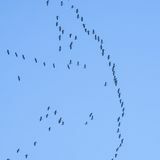 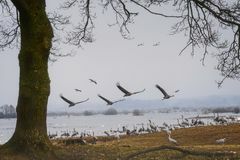 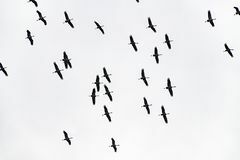 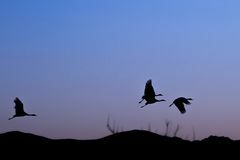 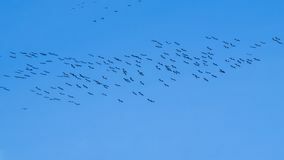 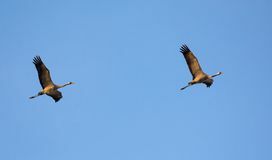 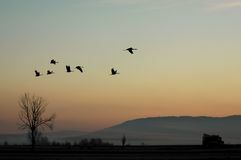 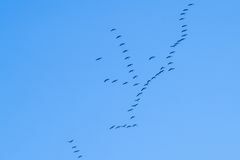 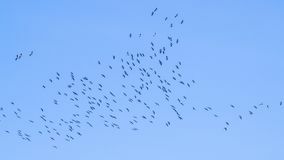 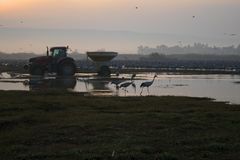 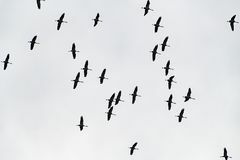 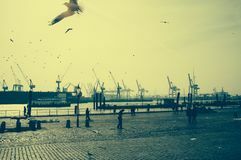 Migration cranes flying in team in dark blue evening sky. 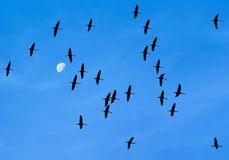 Flying in front of bright sanguine moon.